Have you seen the fantastic idea from the perfect nose? It’s a patterns and postcards swap where you can (hopefully) have an exchange of patterns for something you will sew. Anybody else a shocker for picking up sewing patterns on impulse? Just me? The patterns I’ve selected aren’t many (as I foolishly stick to the hope I will sew all my patterns – including the Disney princess ones), but they are pristine. Only one has been traced, which is the super cute kids pj set. All the others don’t look like they’ve been touched since the 1990’s. New look 6703 is gone! The orange peplum top is gone! Keep it social: Send your swap partner a quick email or blog comment as soon as you receive your parcel. Not only is this the polite (read, humane) thing to do, it’s great for senders to know that the goodies have arrived safely and aren’t languishing unclaimed in a customs hold up somewhere. And now on to the good stuff. Let me know if anything takes your fancy! done and done! I’ve emailed with my address and to get yours. Oh, it’s a size 16, which is a Bust 38″ Waist 30″ Hips 40″. What is the bust size for your McCalls 3252? Damn, that’s a bit big! What about the orange peplum Vogue pattern? Or the Tamotsu Vogue pattern? McCall’s 3252 is a size 10, for a 32.5″ or 83cm bust. 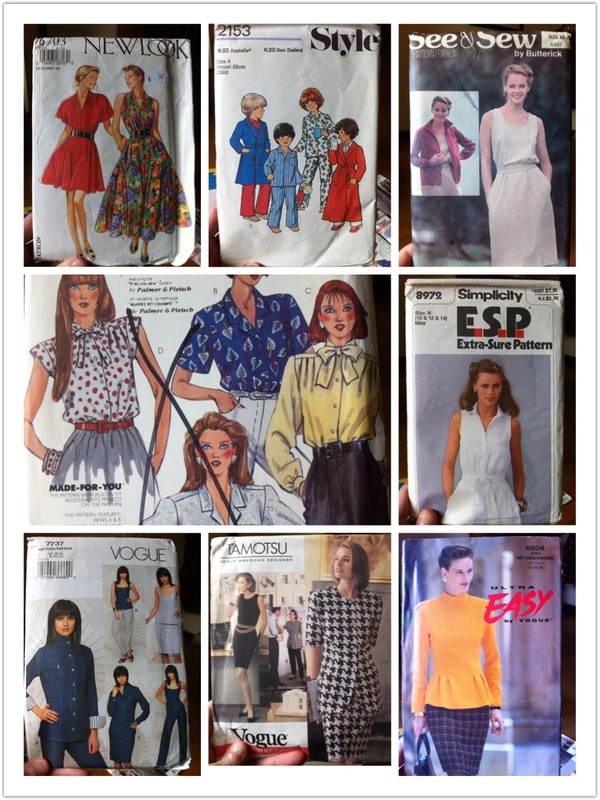 Great, I’ll take the peplum pattern if you are still interested in the McCall’s? Ok, I’m happy to swap the McCalls for the peplum pattern if you are still interested?